Magento is the world’s number one ecommerce platform and provides flexible management of the appearance, content and functional aspects for online stores worldwide (more than 250,000 according to Magento’s website). As an open-source-based technology, Magento allows ecommerce stores to modify its code to optimize their processes, installing plugins that improve the performance of their websites and users’ shopping experience. Besides that, the platform also does a great job improving organic traffic and making websites cross-browser responsive. If you are already a Magento client, you probably know that utilizing plugins can be very helpful and turn your website into an even more powerful shopping experience, both for your customers and you. Many plugins have a basic version for free, which makes it accessible for everyone and also an excellent opportunity for trials. The trouble here is to wisely choose which plugins best match your business vision and goals, as there are so many available in the market. Magento admin plugins were created to better organize customers, products, and purchasing internal operations, in order to help ecommerce owners to successfully manage their business, helping them to save time and energy. With these extensions, you can also execute age verification, IP redirection, and perform repetitive tasks, such as uploading a larger number of images, importing and exporting orders, shipping processes and much more. It is not a question that online consumers are less likely to return to the same store after having a bad experience on it. To avoid that and offer a great user interface and experience, your website usability can be improved with different plugins to meet and hopefully exceed user demands and heightened expectations, such as improved search, AJAX tools, navigation design enhancers, among others. If you are already wondering if there is a special Magento plugin to make your customers buy more and increase your sales, our simple answer would be yes! However, it is not a magical plugin, but a set of marketing and sales extensions that can help you with this goal. The functions of these extensions are to understand and implement marketing strategies that are more efficient and know exactly how to motivate your customers throughout the shopping process, according to your audience and their characteristics. More than simply sending email marketing or offering discounts, they make use of advanced marketing and sales techniques to create valuable campaigns for your potential buyers with a personalized selection of products that will attract them. They can also offer a flexible discount system to optimize your ecommerce profitability, in an automatic process you can seamlessly follow. Social media plugins allow your store to be integrated with social media networks, for example, they enable your customers to login using their existing social network accounts to leave reviews, comment, to like and share their favorite products. They are important plugins because people do not like to lose time creating new accounts and do not want to remember different profiles and passwords. Their shopping experience needs to be connected with a channel they trust, frequent often and enjoy. Then, the shopping process will simply follow. Depending on your business, to sell your products in a marketplace can be an excellent idea to boost your profits, so vendors can put products on sales without the need to open their own store. It can also benefit your customers, as they will be able to buy from a website they already trust. By using a marketplace extension, you can charge the vendors a fee to use your site, approve or disapprove products, and manage income orders. Online customers can be very sensitive and influenced by the payment methods available in online stores, because it is something that is related with their habits, comfort and data safety. Therefore, this factor can clearly become a reason for them to abandon their carts in the end of the shopping process. Magento payments gateways can reverse this situation, integrating secure and popular payment methods to your ecommerce. 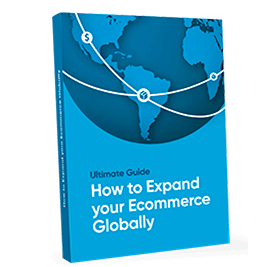 The EBANX payment gateway for Magento is a must-have item for ecommerce stores who are considering a global expansion to Latin America. That is because consumers from this region have different shopping habits and are used to specific local payment methods. For instance, the majority of Latin Americans do not have an international credit card, so cash-based payments are a huge success in most Latam countries, even when talking about online commerce. The EBANX plugin offers these local payment methods directly in the ecommerce checkout page, with all the support, security requirements and cutting-edge technology that online transactions provide. The plugin gives you the power to control your transactions without leaving the Magento platform, optimizing your time and achieving more sales. You can easily test and install it here. To invest in plugins that ensure your customers to fully access your website from any device is another competitive advantage, as we all know that mostly consumers are not seated comfortably at home surfing the internet from their personal computers anymore. Nowadays your customers have smartphones and tablets literally in their hands. These mobile devices allow them to do everything they used to do with a traditional desktop or laptop, when and where they want to – from product searches to the completing the purchase. All of the improvements already mentioned are important to develop a solid and functional ecommerce platform, and above all, to enrich the user online experience with the brand. Nonetheless, customer care tools themselves can be not overlooked by online stores. Besides the ones mentioned above, there are many other interesting plugins in the market, in which we could write a book about. Nevertheless, before getting overwhelmed and starting to read all the material you can find about them, we suggest you to think which ones would be a real benefit for your website and your work routine, or those that would positively affect your sales. Having too many plugins and not being able to continually manage them can be fruitless. It could be that your ecommerce business model may not need more than 2 or 3 plugins to accomplish particular goals, so consider adding those indispensable ones that are a perfect fit for your online store. Very useful information to us …Thanks for sharing.